A truly unique gift for any age that lasts a lifetime. These beautiful prints provide a charming way to capture the memories and history of the day someone was born. Available from 1950 to the present, they make a unique gift for all ages. 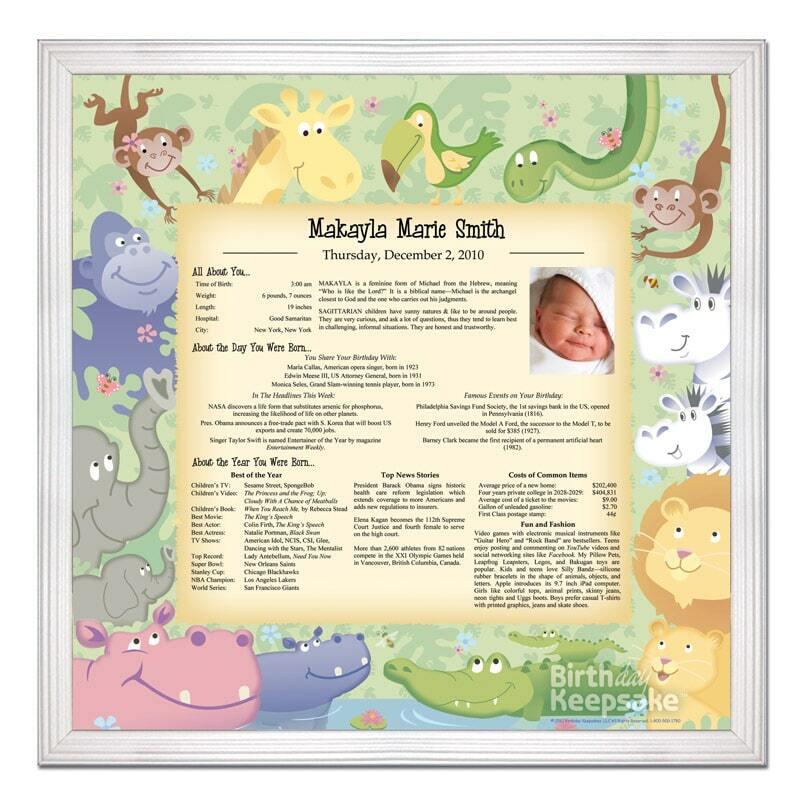 Each print contains your loved one’s name, birth date, their name meaning and birth stats (optional). Also included are famous birthdays, current headlines, top sports teams, movies, TV shows, fashion trends and more from that memorable day and year. You can even add a photo to make this item an even more precious gift. Shop with confidence with our 60-day money back guarantee!